If you have been brainstorming about a workshop which you think you can teach, organize or even offer to organizations; you have to ensure that you will benefit from your ideas by putting them into writing. A workshop proposal can help you formally present your thoughts, backed-up by facts and actual experience,s in a professional and formal manner. 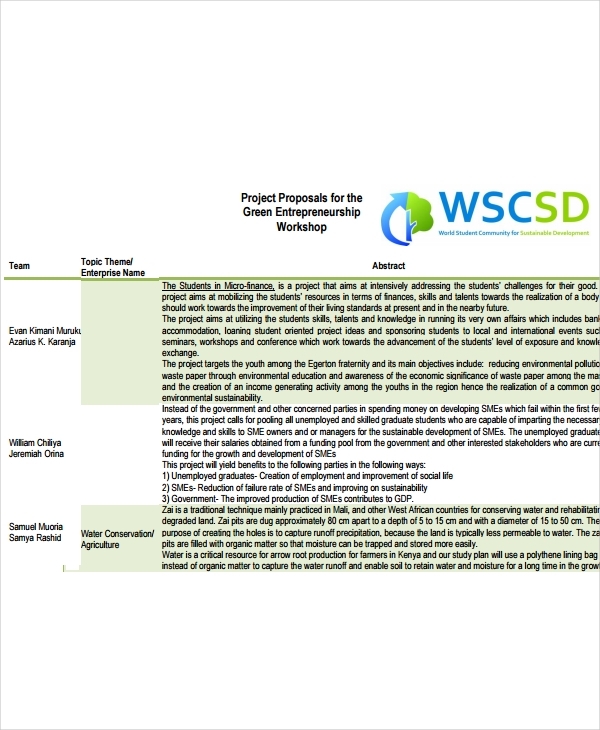 Just like service proposal examples, make sure that your workshop proposals are complete and well-formatted. 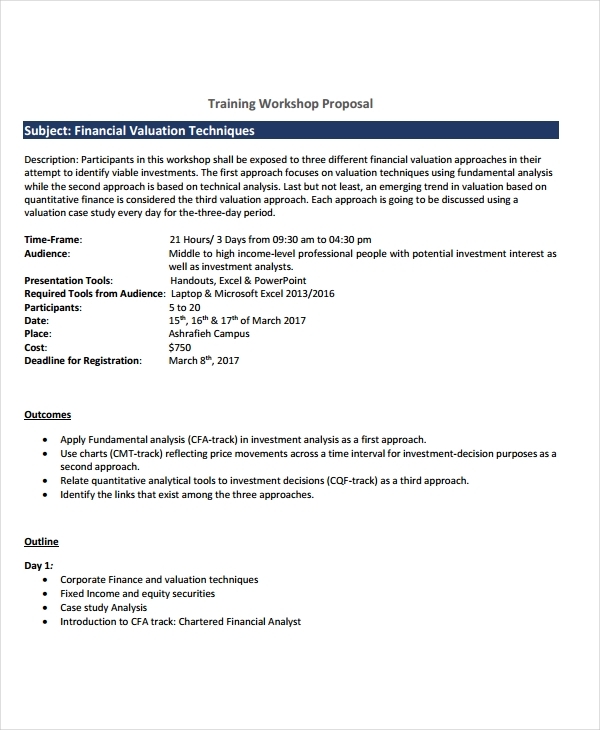 Referring to proposal examples in PDF, Word or even in Excel can allow you to come up with a more comprehensive and well-structured workshop proposal. If you are aware on how to make an event planning service proposal or any other kinds of proposals, developing a workshop proposal will already be easy for you. You do not need to worry if you do not have any experiences on making any proposals as we have listed downloadable samples in this post. 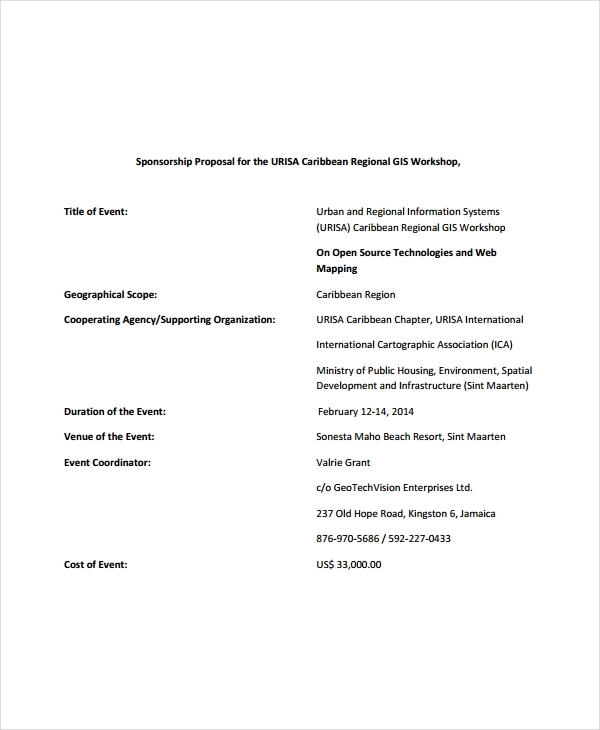 To Whom Is a Workshop Proposal For? 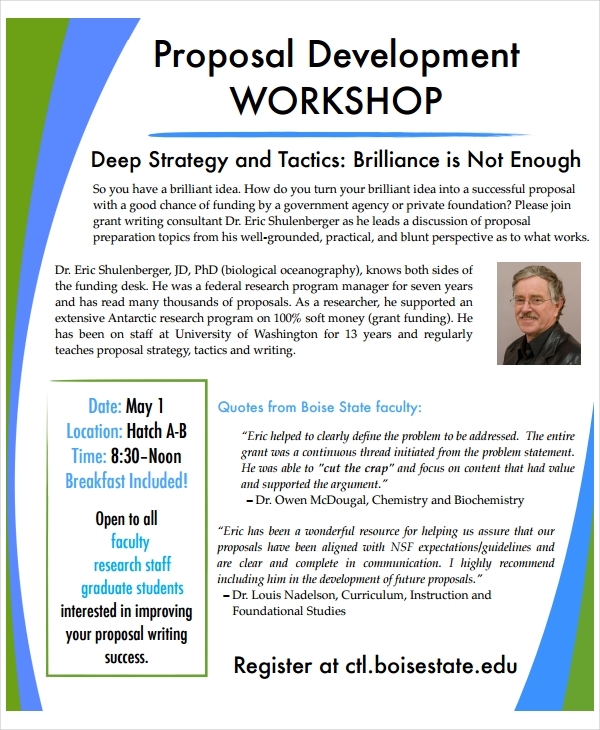 Compared to research proposal examples & samples and business proposal examples & samples, a workshop proposal should also contain precise details which can specifically present what you can provide to your target audience. 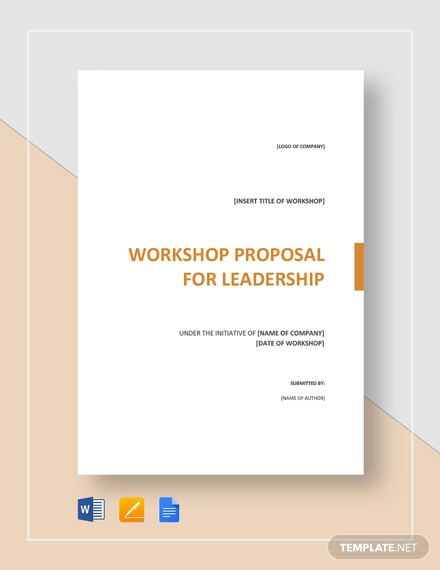 What Should Be in a Workshop Proposal? If you are a client, it is recommended for you to be aware on how to write a request for proposal so you can already give an idea on what you would like to be discussed in a workshop proposal. 2. It should be comprehensive to ensure that misunderstandings will not occur between you and your potential clients. 4. It should be formatted accordingly so that you can easily develop a flow of discussion which can be helpful in convincing your potential clients to hire you. 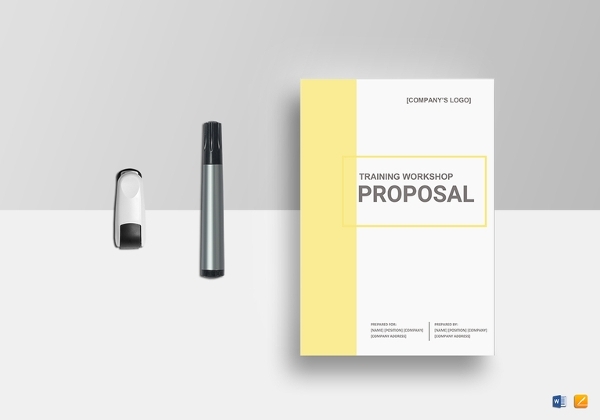 A workshop proposal can get the attention of your potential customers if it can showcase the benefits that the workshop can provide to the clients. 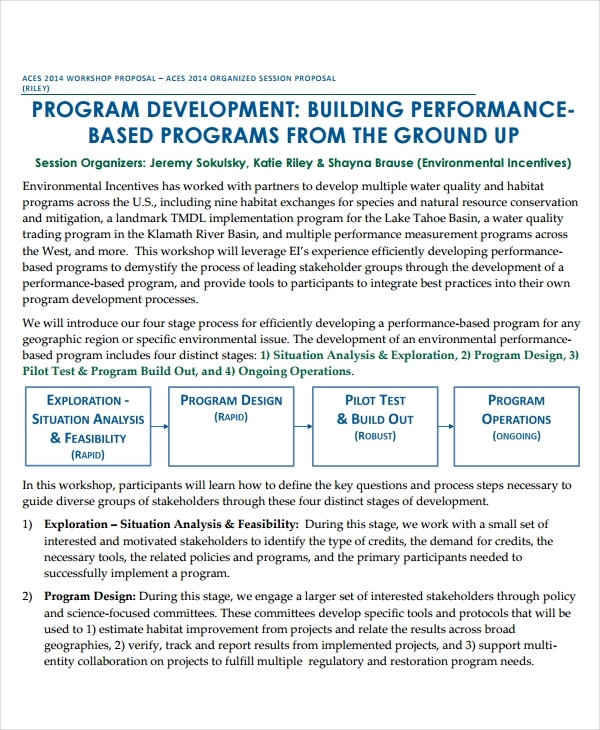 This will only materialize if your workshop proposal contains all the relevant information that can present the program that you have prepared. 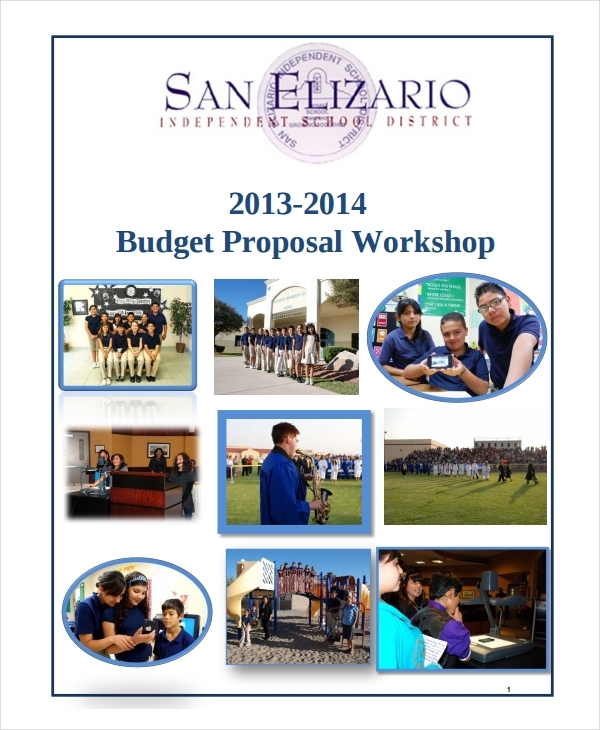 Just like budget proposal examples, your workshop proposal should also contain the cost of the entire workshop so you will not mislead your clients about cost computations.You may also see how to make an event planning service proposal. Make sure to take your time when developing and planning the content of your Short Proposal Examples & Samples. Always remember that your proposal can say a lot about your business which is why you have to be careful with how you present the service and/or product offering of your business. Use our samples and tips as references so you can already start making an attention-grabbing workshop proposal.